Art is a means to travel without really going somewhere. Explore your creativity and express yourself through art. Unleash the inner artist in you. The best part —no prior experience is required and you get to take home your creation. We will be painting using knives & acrylic paint on a framed stretched canvas of size 14" x 18". 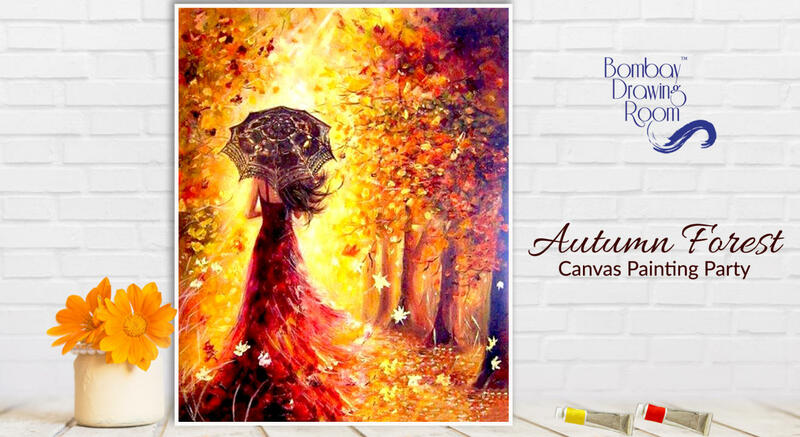 This will be a step-by-step workshop to create “Autumn Forest” with instructions provided by the artist Jisha Madai.